Rate Hike Hearings! Pittsfield, Springfield, Greenfield. Who wants to make some stuff? 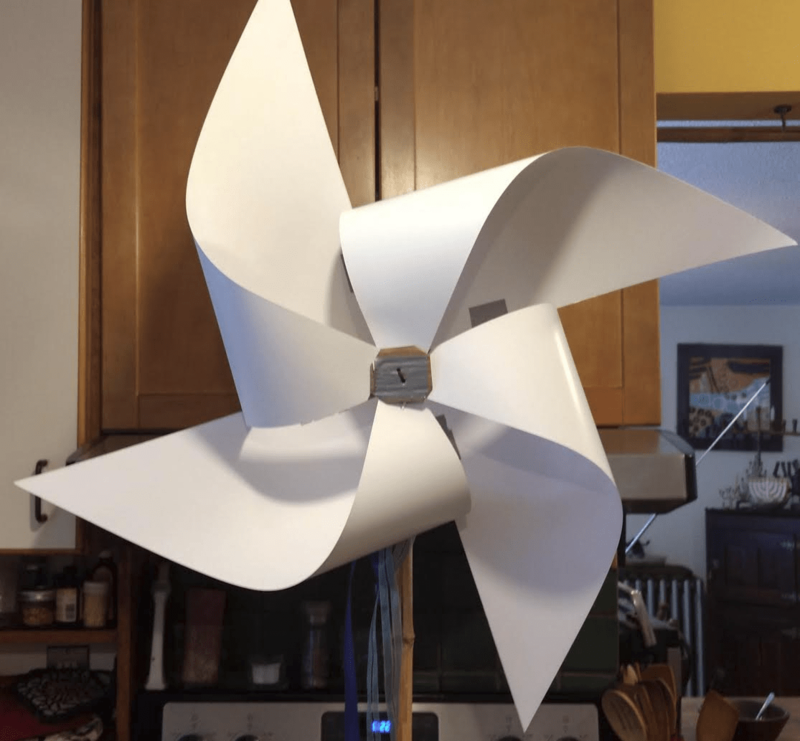 Come and work (play) with us as we construct large pin-wheels and solar disks on poles to carry in a group in both the Washington, DC and Springfield People’s Climate Marches. Help us represent creative Western Massachusetts and our plans for the clean energy revolution! Contribute to the marches even if you cannot be there In person! Join us for an hour or the whole day- whatever part of the day works for you. Robin M has kindly offered lead this project, to host, and to provide tea & coffee. Please bring a bag lunch if you plan to be with us all day. We are especially in need of thin poles, like bamboo, & yellow or orange latex paint. big dark magic markers or dark paint for making lines. Poles under ¾” diameter at least shoulder height – bamboo, tree saplings, etc. plastic or paper to cover tables – old cheap tablecloths are great. Jingle bells, jingles /rattles from junk to tie to poles? 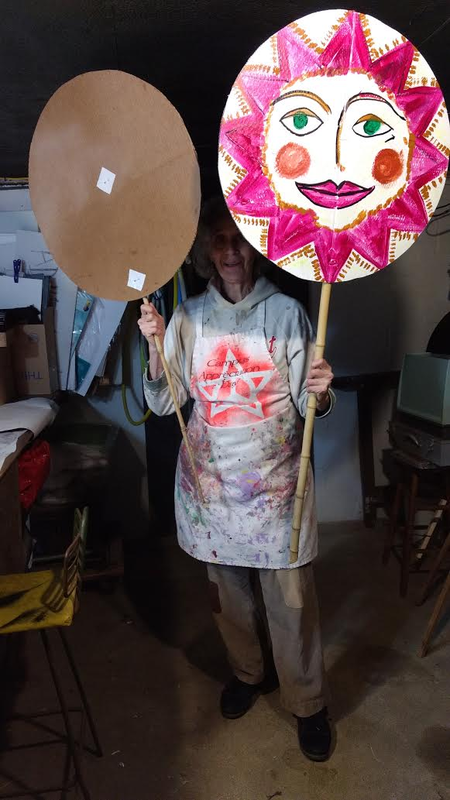 Here’s Robin with her mock-ups! She is envisioning the sun faces in yellow and oranges instead of the pink, and the pinwheels with blues hanging. We plan to paint the backs as well, and put our simple messages there.